LifeSpan Treadmills are known for their numerous safety features, which makes sense considering that this company’s main target market are seniors above 55 years old. But even if you’re not yet that old, I still believe that these machines would be perfect for most individuals. Is This The Brand For You? LifeSpan machines are not for intense athletes. Treadmills from other brands have bigger running spaces and stronger motors compared to those from LifeSpan. But what it lacks in these areas it makes up in its numerous safety features and better-than-average quality. So if safety is your primary concern when choosing a treadmill, then this is the best brand for you. LifeSpan is a brand of PCE Health and Fitness. It was established in 2001 for value conscious consumers above 55 years old. And since its introduction the line has grown to include both a high value home series line and a Pro series line targeting high end home users and institutional customer. Currently, the LifeSpan brand offers a wide selection of treadmills, exercise bikes, elliptical trainers, and rowers. It is now available through fitness retailers across the United States, Canada, and Mexico. LifeSpan fitness is also active in community events. They are sponsors of the International Council on Active Aging and members of Medical Fitness Association. They also donate to local high schools and provide funding to the American Diabetes Association and other non-profit organizations. LifeSpan models range from $900-$1,500 for their value (TR) series and $2,000-$3,500 for their premium (PRO) line. With a price range like this, I believe you can easily find one that suits your budget. The biggest weakness of these machines is their motor power. It is not as big and powerful compared to top brands in the same price range. But as I’ve said above, the target market of LifeSpan models are those above 55 years old so I can understand why they don’t include huge motors on their units. If you have decided to buy a LifeSpan then I suggest you buy from Amazon.com. They have a wide selection of Lifespan products you can choose from. Just do a search for your chosen Lifespan Treadmill on the search box provided to the right. As an alternative, you can also click on the link below to go to Amazon's Lifespan page. But before you buy, you may want to read our reviews on individual LifeSpan treadmills below to help you find the one that suits you best. Others: One of the top selling treadmills in Amazon last 2011, and for good reasons. Others: Comes with Lifespan fitness club access. Others: This one comes with the Intelli-Guard safety feature, which automatically stops the tread belt once you stop running to prevent accidents. Others: The cheaper alternative to the Lifespan Pro5 below. But still one of the better treadmills you can get below $2,500 in the market right now. Others: The biggest and most powerful treadmill from LifeSpan this year. It is also one of the best treadmills you can buy below $3,500. Others: This is the most expensive treadmill from Lifespan but for good reasons. It is also the biggest and strongest machine from Lifespan this year. These past few years, we have seen an increase in demand for treadmills with a work desk for people who likes to be productive while doing their exercise. Lifespan is one of the brands that answered those demands with their DT or treadmill desk line. Below are some of these machines that we've reviewed. 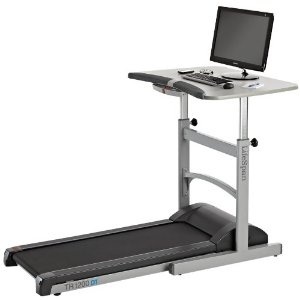 Others: This is the entry level version of Lifespan's famous treadmill desk line. 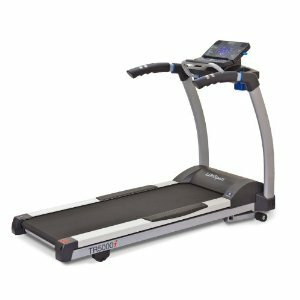 Below are some older Lifespan treadmills that have been discontinued. I would keep the reviews here since most of these machines are still being sold on the internet through retailers or auction sites. Others: One of the better mid-priced treadmills in the market for the past few years. Have You Ever Used a LifeSpan Treadmill? If you've tried using a LifeSpan, chances are visitors of this site would love to hear from you. It's fun, free and easy to do. Note: This site would no longer accept submissions that are less than 10 sentences. Also, be sure to provide real value to other readers of this site. Again, if you plan on buying a LifeSpan, I recommend you get one from Amazon.com. Use the search box on the right to look for your chosen Lifespan Treadmill. As an alternative, you can also get Lifespan Fitness treadmills by clicking on the link below.